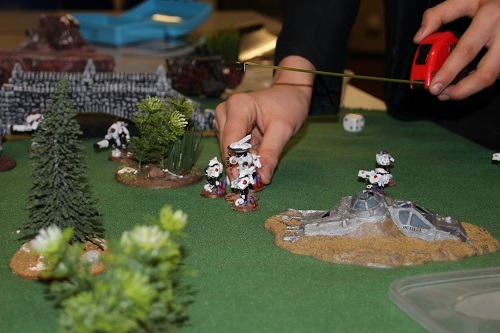 Open to students of all ages, Strategy Club offers a challenging miniature wargaming experience using model figures on scenic battlefields. Popular games include Warhammer 40K, which features futuristic armies, and Bolt Action World War II, with its more traditional style battles. Run by history teacher, Mr Clayton, this nail-biting activity takes place in Room 58 on Fridays, from 3.05pm until 5pm, with all equipment provided. 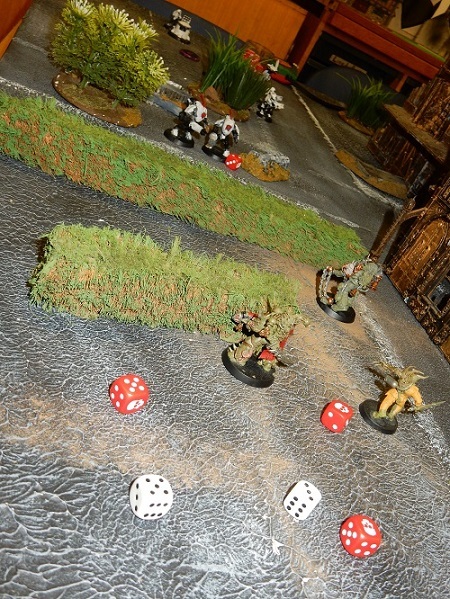 The playing field is a tabletop model of a battlefield, which can be developed into realistic terrain, with fantastic scenery, derelict buildings, landmarks and shrubbery. Other equipment needed, includes a rule book, dice, a tape measure, pen and paper, and the figures, or models, who are really the stars of the show. Models can be customised by choosing different paint colours and techniques to make the collection more personal and help with identification during battle. First of all, each player must assemble an army from the same ‘faction’, such as Space Marines or Orks, and agree on a ‘points limit’ to make it a fair match. Each model has a ‘points value’ that roughly corresponds to how powerful it is, and also specific characteristics, like weapon skill, toughness and initiative, to show any strengths or weaknesses. At the start of a game, each player places his models in starting zones at opposite ends of the battlefield. Players then take turns to work through three basic game phases. 1. The movement phase is where a player can elect to move some or all of his figures or units a set distance of up to six inches, measured using a tape measure. 2. The shooting phase is where a player rolls a series of dice to determine whether a nominated target has been hit and the level of injury that has been sustained. 3. The assault phase is where a player declares the charges and moves the figures into close combat, which depends almost entirely on their physical characteristics. After moving through each of these phases, the second player takes their turn in the battle. This is not a game of chance, as there are a wide range of factors that need to be considered and planned for, as well a variety of extra resources to aid the figures. The game offers infinite possibilities, and is always different. If you’re interested in finding out more about Strategy Club, please come along to a Friday session or see Mr Clayton for further details.